Ghost Recon Future Soldier E3 gameplay movie. Driven to the brink of extinction in ice-covered wastelands, humankind fights to survive, from the deadly elements to the hostile alien creatures known as the Akrid. With only fragments of his memory intact, Wayne Holden must struggle to recover his past and the answers to E.D.N. III's secrets. While the search for the truth could lead to valuable allies and a means to save humanity, what he finds instead could be worse than he ever imagined! Score Attack - Each enemy and destructible object has points assigned to them, with the player being awarded different points depending on how they defeat the enemy. Platinum Hits title - Value priced at $29.99! 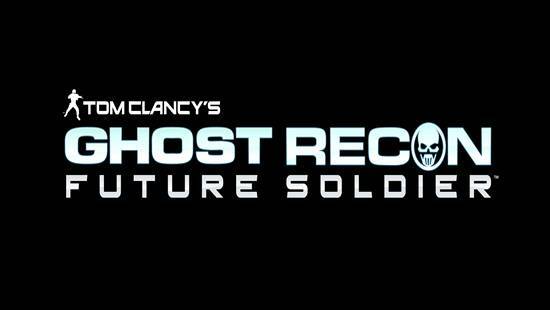 Get to the Videos page for the Ghost Recon Future Soldier E3 ingame video! Boom Boom Rocket™ is a rhythm music game where you detonate beautiful fireworks in time to remixed classical music. Of course it's not quite that simple though! Balance your combo multiplier while exploding different colored fireworks with the appropriate button presses. Two players can battle head to head as the music gets faster every time you loop through the track … eek! Music and rhythm: Trigger rockets to the beat of the music while traveling through a 3-D cityscape. The better you time the explosions, the more spectacular the fireworks effects. Original soundtrack: The fireworks are choreographed to 10 original tracks created by composer Ian Livingstone. Difficulty levels: The game features three modes of play, Normal, Speed, and Multiplayer head-to-head. Each song is choreographed into three skill levels to ensure that everyone can join in the fun. Combos and bonuses: Successfully chain fireworks to fill the bonus meter and activate the psychedelic bonus mode for extra points. Unlock new firework designs by mastering each music track. Unique offering: Boom Boom Rocket is the first music rhythm game available on Xbox LIVE Arcade. HASBRO FAMILY GAME NIGHT is now available on Xbox LIVE, featuring up to 4 players of Xbox LIVE Multiplayer action! Featuring six downloadable games: BATTLESHIP, YAHTZEE, BOGGLE, CONNECT FOUR, SORRY!, SORRY! Sliders, plus SCRABBLE in North America only, HASBRO FAMILY GAME NIGHT has something for everyone! Boost the thrills with an extra shake of the cubes before the round ends in Advanced mode or find as many words as you can in Word Hunt! Choose your favorite theme and earn trophies, furniture, and decorations to customize your game room. Join your host MR. POTATO HEAD as you play BOGGLE and other Hasbro games created for Xbox Live Arcade, including CONNECT FOUR, YAHTZEE, BATTLESHIP, SORRY!, and the all-new SORRY! Sliders. HASBRO FAMILY GAME NIGHT is only available to Xbox 360® owners with an Xbox LIVE® Silver or Gold membership, through download from the Xbox LIVE Marketplace. Join your host Mr. Potato Head as you play this classic Hasbro games now available for download on Xbox LIVE Arcade for 800 MS Points. Or get the full Hasbro Family Game Night experience with other favorite titles including CONNECT 4, YAHTZEE, BOGGLE, SORRY! and the all new, SORRY! Sliders. Fire off multiple shots in Salvo mode and use power-ups in Super Weapons mode. New Ways to Play! - Fire off multiple shots in Salvo mode and use power-ups in Super Weapons mode. Deck Out Your Game Room - Choose your favorite theme and earn trophies, furniture, and decorations to customize your game room. Enjoy a Hasbro Family Game Night! - Join your host MR. POTATO HEAD as you play BATTLESHIP and other Hasbro games created for Xbox Live Arcade, including CONNECT 4, YAHTZEE, BOGGLE, SORRY!, and the all-new SORRY! Sliders.